It feels like yesterday that ScaleFactor announced their $10M Series A led by Canaan Partners. And it has only been slightly over 18 months since ScaleFactor graduated from the TechStars Austin accelerator. Today, ScaleFactor has reached yet another milestone in its journey to support small businesses — they are announcing a $30M Series B led by Bessemer Venture Partners, one of the country’s most experienced VC firms and a firm that has the largest cloud software portfolio in the industry, which includes companies like LinkedIn, Intacct, Adaptive Insights, Shopify, Twilio, SendGrid, and Intercom. ScaleFactor’s growth trajectory has been nothing short of meteoric, with over 700% customer growth and over 4x team growth in 2018. At ScaleFactor, this is called #ScaleFactorSpeed. The team is maniacally focused on the speed and velocity with which they are building their company, team, and products as they know that as they are able to serve their small business customers better, ScaleFactor can fundamentally change the way small business owners interact with their finances. Financing round announcements for startups are generally filled with sales and customer growth numbers that point to why they are able to raise a large round of funding from VCs, as they should be. But I want to talk about something less visible that has significantly contributed to ScaleFactor’s growth: the people involved. There is no one way to build a successful team and have that culture successfully translate to company growth. Different companies have different cultures and many companies achieve success. But one thing that is abundantly clear from working with the ScaleFactor team since their Seed round: their focus on building a supportive and collaborative culture is a major reason why they have been able to grow so quickly. ScaleFactor has made a concerted effort to focus on the development of the “whole person” of their employees. From its earliest days, ScaleFactor has had a Chief People Officer, who helps new employees onboard to the company’s culture from day one. They work hard in the office — and work late when they need to meet a deadline or close a sale. I’ve gotten countless texts from CEO Kurt Rathmann at 11 pm on a Friday night with pictures of the team digging into a pizza as they build a new product feature or close a sale. They work hard, but they have fun doing it together, as a team. But there is also a concerted effort to have fun in and outside of the office. 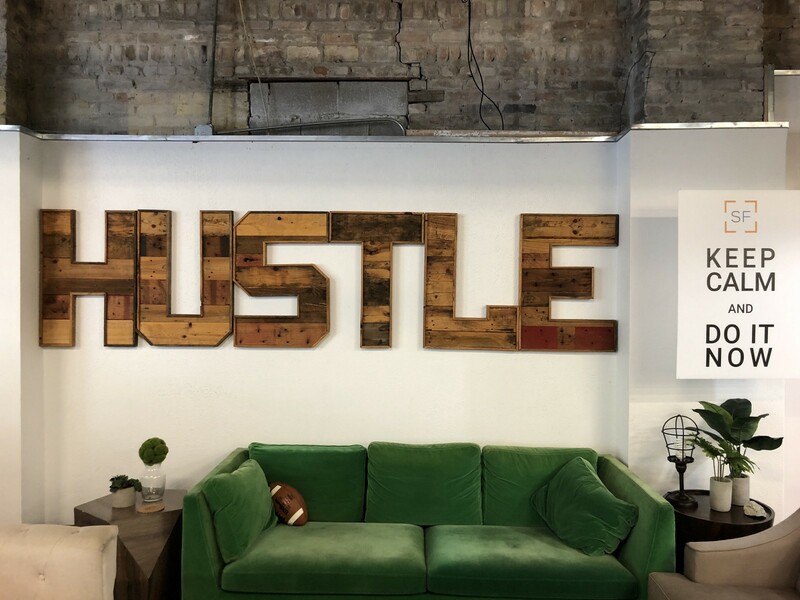 The team regularly participates in workout and yoga classes outside of work, competes in the Austin startup games, and takes retreats as a group to celebrate key milestones and strategize how they can growth the business. This culture has helped them be recognized as one of “Austin’s Best Places to Work ” by Austin Business Journal. The culture that has been built within the team bleeds over into how the team goes out of its way to give customers an incredible experience. The stories that we’ve consistently heard from customers about how the team goes above and beyond to make sure they have an amazing experience working with ScaleFactor are not stories that we hear from customers every day. Startups are hard work, but they should be fun too. Perhaps there’s no better illustration of the excitement that captures the feeling of excitement that ScaleFactor has created for its employees than an email I received from a ScaleFactor employee (who, by the way, is a startup veteran and has been working in the industry for over 25 years) after sending him a Happy New Year card. The best work experiences are generally the ones that employees carry with them throughout the rest of their careers. I saw this firsthand with the culture built at UUNET, an internet service provider in the 1990s. Even 20 years later, former UUNET employees send letters and emails saying how their time building UUNET was one of the best times of their lives and careers due to the work they did and the friends they made building something great together that helped create the network infrastructure of the internet. ScaleFactor has that same feel — there is something special with this team that they will still be talking about their time with ScaleFactor 20 years later. Companies succeed because of the entrepreneurs and teams on the field doing the work every day to make a company grow. Investors are on the sidelines, operating like a “Sixth Man” in basketball who comes off the bench when necessary to help a company navigate their growth. That said, helpful investors can make a material difference in the success of a business. The investors in ScaleFactor’s business from its earliest angel investors, to the TechStars Austin accelerator, to the Series A lead, Canaan Partners, have been tremendously helpful, supportive, and hard-working. They have also been incredibly collaborative. The ability to work through challenges on a daily basis has made it easier for the team to focus on building the product and company. It has been an honor and a pleasure working with the other investors and board members, Michael Gilroy and Adina Tecklu from Canaan Partners and Amos Schwartzfarb from TechStars, as we’ve all worked with Kurt and the team to help ScaleFactor grow. It is exciting that one of the best cloud investors of all time, Bessemer Venture Partners, and their stellar investors, Byron Deeter and Anna Khan, have decided to invest and partner with Kurt and the team to continue to build ScaleFactor. I have no doubt that they will be another set of hard-working, collaborative investors with the team and other investors. ScaleFactor is hellbent on helping small businesses manage their cashflows and financial operations better. Less than 50% of small businesses reach their five year anniversary, in large part due to an inability to properly manage their finances and cashflows. ScaleFactor is building a platform to help change this number for the better of small business owners and consumers around the country — and you better believe that they are moving at #ScaleFactorSpeed every day to make this vision of the future a reality for small business owners. We are thrilled to see ScaleFactor’s continued progress and we are excited to continue to roll up our sleeves to help them through the next phase of the journey to help small businesses.